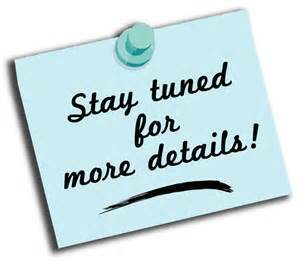 Entries will be accepted until 5 p.m (Eastern time) Sunday, February 8th. Winner will be announced here on the blog no later than Monday evening. 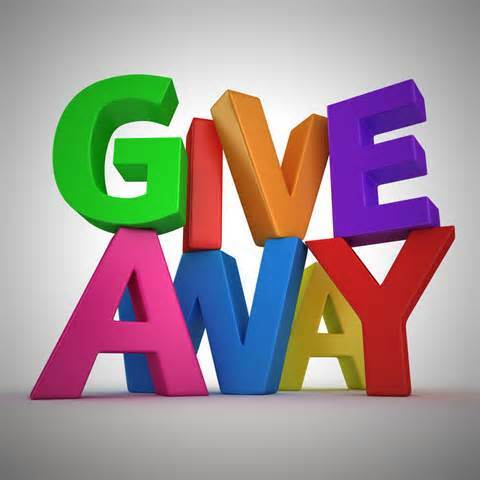 Make sure you are following our blog to see if you win! Good luck to all who enter!!!!! Happy release day to Shelley Shepard Gray. 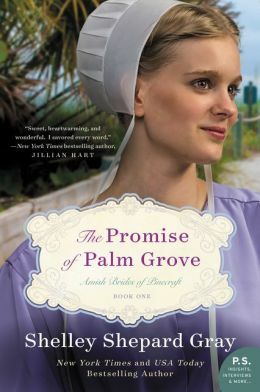 The Promise of Palm Grove is available for purchase now!!! We would like to thank Shelley Shepard Gray for taking time out of her busy schedule to answer some questions for us. We enjoyed reading her answers to our questions and hope you will too. 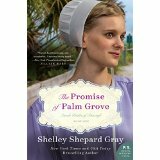 Don’t forget to check out The Promise of Palm Grove; the first book in Shelley’s new series Amish Brides of Pinecraft. Shelley: Thank you for inviting me to your blog, Cathy and Kristi! What a fun honor to be here! Two Girls: When did you decide you wanted to write? How long did it take from that moment till your first book was written? Shelley: I started writing the last two years I was teaching 6th grade. I wrote for fun, as my new fun hobby. When we moved to Cincinnati , my husband encouraged me to attend a local romance writing group. That’s when I thought I’d actually try to get published. I sold my third manuscript to a small library press. It was called Finding Love’s Fortune. That was about two years later. Two Girls: As an author that writes three genres, how do you keep coming up with an inspiration for each one? Do you find one genre easier than another? Are you more partial to any one particular genre? Shelley: I’m one of those authors who actually really loves to write and read! I’ve always been partial to the romance genre-I like any book with a happy ending. I think because I like to write in different genres, it keeps my writing fresh. I actually do like writing just about anything, though I do enjoy writing historicals because I lose track of time when I write them. I wrote some of my westerns in four-hour blocks. I also really enjoy writing series, and love writing the middle books in the series. By the time I am on the second book, I already “know” the characters and the setting. The place becomes “real” to me. I wrote next year’s Wedding at the Orange Blossom Inn in just a month. I felt like I “knew” everyone in the book and simply had to write down their story. Two Girls: Do you ever get writer’s block? Shelley: I hate to jinx myself, but no, I don’t. Some days the writing doesn’t come as easy, but I always am able to write. I think this is because my editors give me a lot of freedom. They let me write the books I want to write. If they gave me more rules I probably wouldn’t be able to write as much as I do. Two Girls: Out of all the books you’ve written, do you have a favorite one? Or a favorite series? Do you miss any of the characters when a book/series is finished or do you feel that their story has been told and it’s time to let them go? Shelley: These are fun questions! Let’s see…one of my favorite books is called Simple Gifts (published as Simple Gifts for Harlequin American and republished Her Second Chance by Harlequin Heartwarming Romance under the name Shelley Galloway). Simple Gifts won the reviewers choice award for Best Harlequin American Romance the year it was published, which was quite an honor. However, the real reason I love the book is that it was about a girl and a cop helping a homeless boy and his mom. I was very proud of that book. My next favorite is A Texan’s Honor. This is a historical western written as Shelley Gray. I loved this because I felt it was just like one of those old black and white westerns I used to watch with my dad. Finally, my favorite Amish book is HIDDEN. When I wrote HIDDEN, I had no expectations. I wrote the Amish book that I wanted to write and didn’t think any publisher would want it and then I didn’t think any readers would like it very much. I guess you could say I wrote the book for myself! So, it was a huge surprise when that book led me to the career I’ve had in inspirational fiction. I usually get contracts for a series of books, and those contracts determine how many books I get to feature the characters or a setting in. Usually I am not ready to let places go. For example, I really loved writing the Crittenden County books and wanted to write more novels there, but my next series had already been planned for Berlin,Ohio. 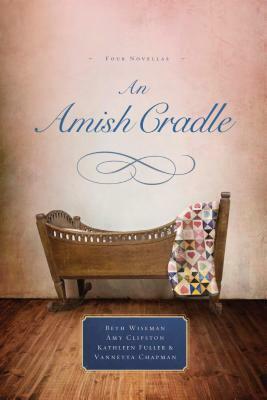 This first book in the Amish Brides of Pinecraft series does not disappoint. Shelley Shepard Gray has woven a tale of love and friendship that will hook the reader from the first page and keep them interested until the very last word. This book was a quick and easy read. The story line is good and flows so well that the pages practically turn themselves. The characters are all likable (except maybe Edmund–don’t worry, you will understand once you start reading) and the setting is wonderful. Shelley has written with such detail that I felt like I was actually in sunny Pinecraft, FL instead of cold and snowy Indiana. The vivid descripions given by Shelley Shephard Gray from the very first page of this book transports you to Pinecraft, Fl. The characters were so endearing to me from the start. I could envision Beverly Overholt and her friends meeting the Pioneer Trails bus that brings travelers from the cold Midwest winters to the warm sunny beaches of Sarasota. In her inimitable,Shelley manages to weave characaters into a sweet and picturesque setting. She continues to create characters that are so charming. 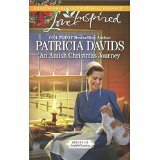 I highly recommend this book to all fans of Amish fiction. This is either very late for Christmas of 2014, or extemely early for Christmas of 2015! This is a story of love faith and forgiveness. Greta must spend time with her Uncle who has been less than kind to her and her family. Its a journey that she doesn’t want to make, to bring home the man that caused them so much anguish. Especially as the family wants a happy and peaceful holiday. It’s also a time for healing not only for her family, but also for Toby Yoder and his younger sister,Marianne.